The Supreme Court bench of Chief Justice Dipak Misra, Justice DY Chandrachud and Justice AM Khanwilkar on Monday issued the notice to the Centre and the state of Rajasthan in the PIL filed by Gulbahar Bibi, wife of Afrazul Khan who had succumbed to death on account of a hate crime in December 2017 in Rajasthan. 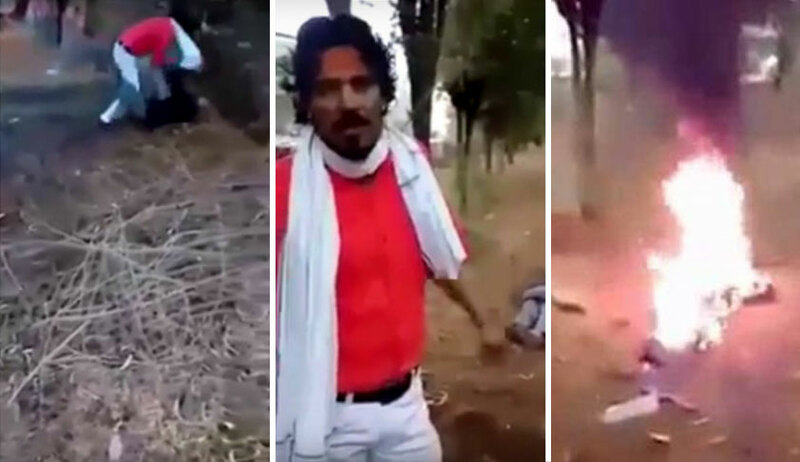 Following the murder, videos of the assailant Shambhulal Regar committing the offence, along with his speech justifying the act of lynching had been uploaded on the Internet. “He (the accused) has even uploaded two videos from the (Jodhpur Central) jail!,” exclaimed Justice Chandrachud on Monday. Senior counsel Indira Jaising, appearing on behalf of the petitioner, submitted, “Where an undertrial prisoner has abused the facilities of the jail, he may be transferred...” In the 2005 judgment in Kalyan Chandra Sarkar v. Ranjan Rajesh, the Supreme Court had observed, “...If the factual situation requires the transfer of a prisoner from one prison to another; be he a convict or an undertrial. Courts are not to be a helpless bystander when the rule of law is being challenged with impunity. The arms of law are long enough to remedy the situation even by transferring a prisoner from one prison to another...The facts narrated hereinabove clearly show that the respondent has time and again flouted the law even while he was in custody and sometimes even when he was on bail. We must note herein with all seriousness that the authorities manning the Beur jail and the concerned doctors of the Patna Medical College Hospital, for their own reasons, either willingly or otherwise, have enabled the respondent to flout the law. In this process, we think the concerned authorities, especially the authorities at the Beur Central Jail, Patna, are not in a position to control the illegal activities of the respondent. Therefore, it is imperative that the respondent is transferred outside Bihar”. The bench on Monday also issued notice on the interlocutory application for transferring the accused from the prison in Rajasthan to West Bengal, the victim has been a resident of the latter state. At the previous hearing on February 16, the bench had directed advocate PK Dey, observing that the counsel ordinarily appears for the CBI, to obtain instructions in the present matter. On Monday, Dey advanced, “The prayers regarding transfer from Rajasthan to West Bengal, appointment of a Public Prosecutor and compensation do not concern the CBI...the local police has filed the charge sheet, cognizance has been taken and the committal proceedings are pending...”, seeking time to file the response on behalf of the CBI.